New Delhi: Taking into account the stream of medical negligence cases being filed against medical professionals and hospital, the supreme court has asked the Central Government as well as the MCI to answer whether any guidelines are prescribed for private hospitals on providing care to patients in the Intensive Care Unit (ICU) and Critical Care Unit (CCU). The direction sought comes in case of yet another medical negligence case, in a petition by one Asit Baran Mandal, a resident of West Bengal, who complained against a doctor for negligence due to which post-operation, he lost his daughter-in-.law. The petitioner alleged that the treating physician should have been well-advised to ask for a Liver Function Tests (LFT) soon after his daughter-in-law was operated for her pregnancy. She died three days after the operation as her bilirubin levels touched alarming proportions. Mandal alleged that this could have been avoided had the levels been checked on day one. 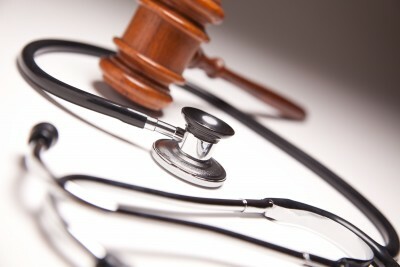 The counsel for the petitioner further argued that the medical negligence is writ large in number of private hospitals and there is no check on it….neither the Union of India nor the Medical Council of India nor the State Governments are prescribing any guidelines for treatment of the patients in the Intensive Care Units (ICU) or Critical Care Units (CCU). That apart, there is no proper care at the stage of operation or post-operational stage. In view of the aforesaid submission, the court has issued notice to the Union of India, the Medical Council of India and to all the State Governments represented by the Health Secretaries, fixing a returnable date within six weeks. The matter is now listed for 1st week of October. Death of a 24 yr old lady on 14/12/2004. Kindly peruse High Court of Kerala judgments 21402/2009,1394/13 296/14 and 1903/14. Criminal revision petition 4/16 hearing was over on 13/7/16. The judgment is awaited. MORE than 90% of the Doctors in INDIA HAVE not been trained for ATLS or CTLS , with out that no Doctor is allowed to practice medicine in most of the developed countries in the world. Before ICU, one has to think about HDU ( High dependency units) which is almost unheard in our country. MOST often I C U means I see you in next life. Definitely there should be guidelines as well as protocols with regular training drills and skill development programs. It is very sad to know that mci and ima has not formed any law for the professional negligence ,every doctor is aware of the risk involved in treating critically ill patients howevever some guidelines must be issued by the authorities so less cases of negligence arise in critically ill patients dr r.j.raval M.S.(Ortho) . It looks very funny that treating physician willbe guided by guidelinesas everypt.is unique n every disease needs tobe treated differently.There should be post op icu in pvt hospital like Govt hospitals OR post op care unit for stabilizing pts before shifting to wards.
. Patients turn up with no antenatal follow up and investigations with foetal distress no time for investigations. Only gynecologist know to save own skin or baby /mother.